The population in Finland is about 5 million. Finland has two official languages, Finnish and Swedish. Approximately six percent of the population speak Swedish. 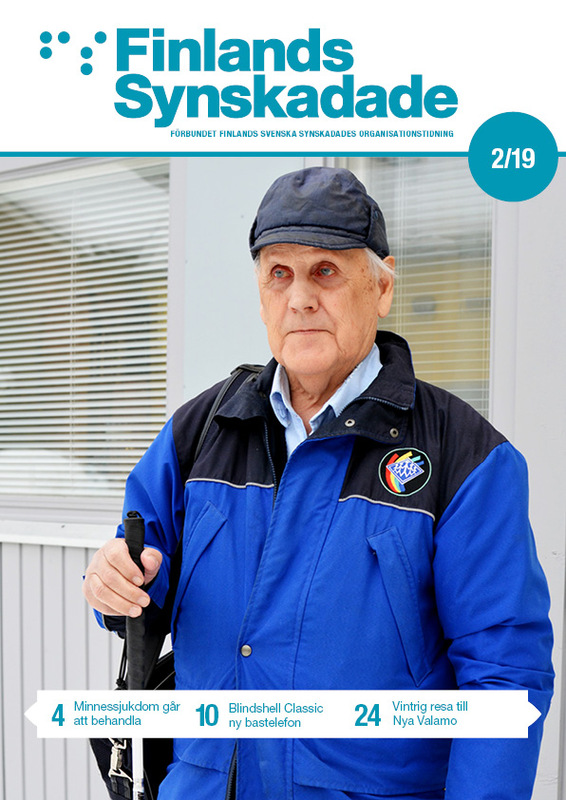 There are about 50 000 – 60 000 visually impaired in Finland. Roughly 3 000 of them speak Swedish as their mother tongue. Swedish speaking blind and partially sighted have established seven regional associations in the western and southern parts of Finland. The Federation of Swedish Speaking Visually Impaired in Finland (FSVIF) is the central organization of these associations. The FSVIF is a contact, interest and service organization of all Swedish speaking visually handicapped in Finland. The central office of the FSVIF is located in Helsinki. The federation and its member associations have a board, consisting of visually handicapped people. Two general meetings a year are arranged for the members. The central organisation and its regional associations aim to improve the quality of life of Swedish speaking visually handicapped and secure an equal status with other inhabitants of the country. To achieve this, the federation seeks to improve the capabilities and skills of the visually handicapped, trying also to influence the society. The FSVIF offers services to the community and fulfils its needs. The services of the federation are available to all visually impaired, regardless of membership or affiliation. If you would like more information about the federation, please do not hesitate to e-mail or call us.